Michele and Michael Foley, of Blue Bell, PA started their company with the intention of providing personal and professional service to distinctive homes in the Philadelphia area. 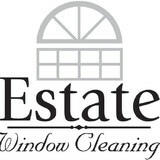 At Estate Window Cleaning, Inc. we pride ourselves in offering remarkable customer service, timely and flexible scheduling, and a genuinely courteous staff that shows respect for your home. 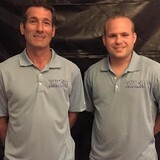 Crystal Reflections of Chester County is a locally owned and operated cleaning professional serving Chester County and the surrounding community since 2000. The owner started the business after completing the planning and implementation of a Public Sector 45 million dollars improvement project to residential property in Chester County, PA. We specialize in residential Window cleaning, Power Washing, interior & exterior painting as well as staining. Our Power washing services include cleaning any exterior surface including roof cleaning. We provide finishes for all exteriors finishes that prevents mold from growing back so soon and look new again. Included in those surfaces are stucco, vinyl and alum. siding, patios, walkways & decks. We can also provide any interior or exterior repair as well as painting and staining. Call us today to discuss your needs and arrange for a free job quote. Check out customer reviews, we think you'll be satisfied with our services. Patriot Window Washing has a commitment to excellence and customer service! Cleaning For Cures is locally and independently owned & operated specializing in Windows, Residential & Office cleaning services. We take pride in delivering value through top quality work & excellent prices. We are highly dedicated to giving back to our local community through the donation of our time & service to local organizations. We donate 5% of our profits to local causes. Quality work is the foundation on which our company is built. Every staff member knows this. Many window cleaning companies hire people with little or no experience, give them less than the basic understanding of professional window cleaning and send them to consumers’ homes or businesses. In some situations, you may have more experience than the people that show up to clean your windows. Our window washing technicians undergo a comprehensive 60-day initial training and then continuing education throughout their career. Even if they come to us with “experience,” they must still complete our training program. A lot of companies try to survive on the volume of work they do at the cost the quality. And when the quantity dries up all that’s left is a bad reputation that can never be repaired. We are proud of our profession and proud to provide you with the best window cleaning service available. Find out about our family-owned business that spans two generations. We are proud to offer you professional services for a fair price-our family to yours! Contact us in Upper Darby, Pennsylvania and surrounding areas, to Request a Free Estimate for your next residential or commercial window cleaning service. Professional Window Cleaners in Delaware County, Pennsylvania, provides expert window cleaning services to residential and commercial customers. With more than 28 years' experience in the window cleaning business,we guarantee, your windows will look amazing. We get the job done right, the first time! 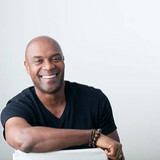 Hi my name is Clenton, the founder and CEO of Professional Window Cleaners offering window great cleaning services. Here's how I became a professional window cleaner. I was 20 years old and I was without a job, my brother-in-law was working for a window cleaning company so he asked if I was interested in becoming a window cleaner, as he knew I was unemployed.The next week he brought me to work with him and showed me everything about cleaning windows. From there on I went and worked for a few other window cleaning companies. I traveled from one city to another cleaning windows therefore I became very experienced in the profession. I had some great experiences cleaning windows and that's why I am so passionate about cleaning windows. At Will's Window Washing, cleaning is our business. It's what we do (and we do a lot of it) and we're really good at it. So why spend the time you could use honing your own skills doing something as mundane as cleaning? Let us give you the freedom to pursue your dreams. We provide Window Cleaning, Pressure Washing, Gutter Guards & Cleaning, and Deck Cleaning & Sealing in Camden County, Burlington County & Gloucester County NJ (South Jersey). As a local owner-operated company in Cherry Hill, NJ, you can be sure you'll be getting top-notch, one-on-one personalized service, as we have been providing to South Jersey homeowners since 1985. From windows to gutters, concrete to decks, fences and siding, trust your home to American Window Cleaning & Pressure Washing for all your South Jersey window cleaning, pressure washing, and gutter service needs! Welcome to WOW! Window Cleaning by Len Oniskey. We have been cleaning windows in the Bucks County area since 1992 the old fashioned way - with squeegees and mild detergent to ensure a high-quality finish without harm. We serve over 2,000 residential and commercial customers each year. Fully insured, we are available annually, monthly or weekly. Whatever you need, we can help. We service Central and Upper Bucks County, Montgomery County, the Main Line, Southern Lehigh County and Northampton County in Pennsylvania. In New Jersey we service Mercer, Hunterdon, Sommerset County and Warren County. We also service the Jersey Shore in July and August.